In a 2-quart saucepan over medium heat, saut garlic and onion in butter until golden, about 3 - 5 minutes. Once boiling, stir in Romano, lemon juice, hot sauce, and salt; stir until cheese has melted; remove from heat and allow to cool for 5 minutes. 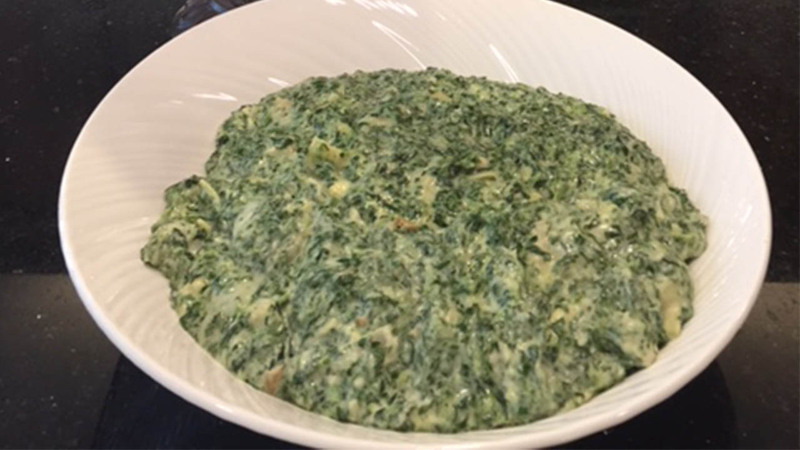 Stir sour cream into pan, then fold in dry spinach and artichoke hearts. Fold the mixture into a microwave-safe serving dish, or into several serving-size dishes. Sprinkle cheddar evenly over top(s). At this point, the dip can be refrigerated until ready to serve, if desired. Microwave dip on 50 percent power just until cheese has melted.